WESTERN Australian livestock producers have been warned to look for signs of annual ryegrass toxicity (ARGT) following recent rain. WA Department of Agriculture and Food veterinary officer at Narrogin, Anna Erickson, said she would normally expect to see cases of ARGT, which can affect all grazing animals, from about November onwards. 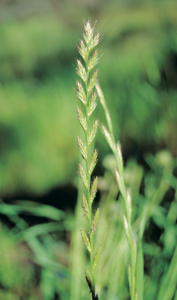 “However, the exceptional season we have had means that annual ryegrass is flowering very early and this year I have been receiving samples of flowering ryegrass since August. “Farmers need to be on the outlook for ARGT from now onwards, with first cases appearing about two weeks after ryegrass starts to flower. Incidence is usually highest in spring, with another peak in summer when sheep go into stubbles,” Dr Erickson said. “Signs of ARGT include shaking, clumsy gait, jaw champing, throat paralysis and dullness, followed by lying down and convulsions. Dr Erickson said the signs of ARGT were similar to some reportable diseases not present in Australia, such as mad cow disease and scrapie. “For this reason, we are always keen to have a private or department vet take samples to submit for laboratory testing for animals with these signs,” she said. “These reportable diseases can be ruled out with correct testing. Data from this testing helps to protect public health and our valuable livestock export markets, as trading partners ask us to provide proof that Australia is free of these diseases. “Any outbreak where several animals die or show disease signs may qualify for the Subsidised Disease Investigation Pilot Program. “This program is an investment of Royalties for Regions to help offset the cost of disease investigations by private vets and to ensure that we obtain enough data to verify our animal health status,” Dr Erickson said. “Older affected animals may also qualify for the National Transmissible Spongiform Encephalopathies Surveillance Program (NTSESP), which allows producers who have suitable animals autopsied for the program to claim $330 for cattle and $110 for sheep (GST inclusive). ARGT is more common in the wheatbelt but has been found in the west in shorter growing seasons and to the north. Research has shown annual rotations between crops and pasture increase the risk of ARGT. When ARGT is suspected, pasture testing will show the presence of the toxin. Pasture test kits are available from local department offices. It is recommended that producers, when they buy in feed, obtain a commodity vendor declaration that states that the feed has been tested for ARGT. For more information on ARGT, the NTSESP, or the Subsidised Disease Investigation Pilot Program, visit the department website agric.wa.gov.au or contact your private or local department veterinarian.